Liberty Legal Services is an established company with its own select team of advisors covering most major towns and cities throughout the UK. Our specialist consultant paralegals are hand-picked and fully trained to ensure that you receive the best possible advice and service. All our legal documentation is prepared by solicitors and returned to you within the shortest possible time. We are not a firm of solicitors, but a Legal Estate Planning company that employs fully qualified solicitors. Our paralegal consultants put your affairs in order in the privacy of your own home and our Solicitors draft the legal documents, and at a fraction of the High Street prices. This guarantees that you will receive the best possible service. The advice we give you is accurate and in line with the current law and practices. We offer a free, no obligation home visit, or by appointment at our offices. Our Head office is in Wakefield at the prestigious Nostell Priory estate yard and situated within the grounds of the Priory. Clients often make a day of visiting our offices by also visiting the house and grounds. As market leader we are one of the most knowledgeable companies in the UK, with over 30 years experience in writing Wills and Trusts. So far we have produced over 10,000 documents many of which are stored in our vault at Nostell Estate Yard. We specialise in Wills, Trusts, Lasting Powers of Attorney, Probate, Conveyancing and IHT planning. All our Wills and Trusts are written by solicitors and for your protection we are covered by £2,000,000 Professional Indemnity Insurance. We are regulated by the Academy of Lawyers and Estate Planners, which ensures your Wills, Trusts, Powers of Attorneys etc, are written to the highest possible standards. 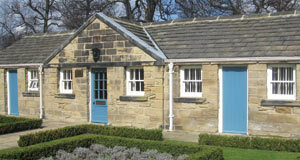 Our Head office is situated with the prestigious Nostell Priory estate. Clients often make a day of it; visiting us and then the Nostell Priory house and grounds.